Focusing on risk can sometimes impede our A-Game. by Darlene Tonelli, October 22, 2018. Today’s post takes us right to the source of something most of us pride ourselves on as lawyers – our ability to apply a disciplined method of thinking to analyze problems. And spot risk. This is all good, for the most part. It’s key to the resolution of many of the issues we are faced with in the course of our profession. It’s what clients pay us for, in part. But sometimes it’s also an obstacle. My observation is that lawyers applying this thinking style outside the office leads to the narrow life choices that are a plague in our profession. We spot risk for a living – literally. And are rewarded for “issue-spotting”. So is it any surprise that we spot all the issues with any risk in our own lives, and choose the seemingly “safe” (milquetoast?) routes in our careers? Working through the question of how much truth there is in these ostensibly safe routes is helpful for a few reasons. It’s useful to test out, on our own lives rather than those of our clients, how true it is that taking a risk would lead to a cataclysmic event. I’ll use a personal example. I had been raised to look at a job with a paycheck as “secure”. What I started to notice, though, is that jobs are not necessarily secure anymore – in some industries, it is actually becoming its own kind of crazy to think that. I started to redefine security, in my own life, as having control over my own destiny by running my own business. To some this seems risky. To me, the bigger risk is putting my fate in someone else’s hands. Having taken a few calculated risks of my own now, I feel better equipped, when sitting down with my clients who are breaking new ground and taking on truly Herculean innovation, to help them figure out how to proceed when there is no blueprint or “safe route” that has been mapped out previously. Because Inter Alia’s business model is to be integrated into clients’ day-to-day operations, we have a sense of their pain points, the internal and external obstacles their leaders face, and the broader context that informs their decisions. I have not found it all that useful, in this context, to just issue spot the risks and lob in a memo outlining a few options. These clients need more than issue-spotting. The lawyers I admire advise on potential risks, but also weigh those risks against reality and practical considerations. 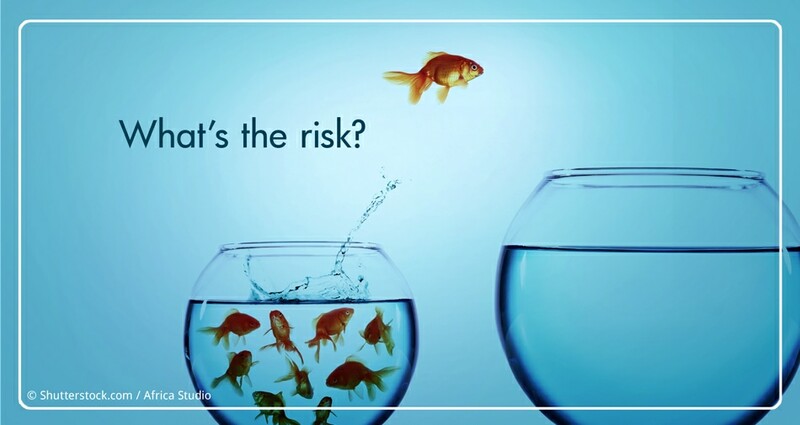 Avoiding risk is not a 100% end in itself for most businesses. It is part of the calculus, but other considerations might be more important to them. Many startups sign agreements with a much higher level of risk than lawyers would tell them is wise – but what’s the risk of NOT getting that deal? Could be the end of the business. If we can develop awareness of when our risk-avoiding thinking is in play, we can take steps to park it when it is not appropriate. I see many lawyers who are overly rigid and risk averse in their personal lives as a habit developed at work. As a colleague recently said to me, “in law school, our natural and appropriate risk tolerance levels were re-set to zero”. Zero risk is not real-life. For clients or for us. So let’s not structure our whole lives around that as an ideal. Coming up: Reason #3 – “Next Level Client Service”.